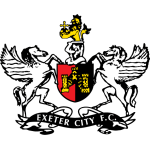 Exeter City vs Colchester predictions as they meet in League Two this weekend. Which of these two sides will be able to claim three points to boost their bid for the play-offs? Read on for our preview of the match and all our free betting tips below. The race for the top seven and a chance at winning a spot in League One for next season is one which will no doubt have many more twists and turns to come during the remaining matches between now and the end of the campaign. Two sides who have been in among the race for the majority of the season meet this weekend as Exeter City welcome Colchester United to St James Park. Exeter City are in danger of missing the play-off places after a 2-1 defeat at Northampton last week made it three games without a win. The Grecians have struggled to maintain their form since losing their talisman Jayden Stockley in the January transfer window, and that dip in form means that the hosts are now out of the play-off places in ninth place. Exeter’s issues in front of goal have been clear to see as they have only managed to score more than once in three matches since the turn of the year. Colchester United’s play-off chances suffered a severe jolt when they were soundly beaten by fellow contenders Forest Green in midweek. Much like their hosts, the U’s are in pretty poor shape at the moment and they go into this contest having claimed just one win in their last five outings. 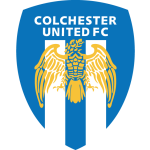 Colchester’s similarities with their hosts do not end there either, as they have also struggled to find the back of the net on a consistent basis and they go into this match having failed to score in around a third of their away matches this season. It is a difficult clash to call, as neither side are at their free-flowing best at the moment, which means backing either on the win-draw-win market looks best to be avoided. With the hosts not really firing in front of goal at the moment and just 39% of Colchester’s away matches finishing with both teams scoring, we think at least one of these sides will fail to find the back of the net. With this in mind, we think that backing ‘Both Teams to Score – No’ represents the best opportunity for a decent return in this contest. Exeter have conceded at least one goal in each of their last seven matches. Exeter have conceded at least one goal in 72% of their home matches. Just 37% of Colchester’s goals scored have come away from home. Both teams have scored in just 39% of Colchester’s away games.